You can’t watch 30 Christmas movies in one day. But you can experience them all in one afternoon with Jeremy Arnold’s new book Christmas in the Movies: 30 Classics to Celebrate the Season. Starting with Miracle on Main Street (1939) and ending with Love, Actually (2003), this new genre book from Turner Classic Movies’ joint imprint with Running Press captures the spirit of the holiday with the most beloved of the beloved Christmas classics. Each of the 30 films gets a 5-6 page treatment with photos, credits, an overview of the plot, and information on how the movie came to be made and how it uses the holiday to tell its story. There is also a Holiday Moment aside which describes a particularly Christmassy scene from the film. All the classics are here including Remember the Night (1940), Holiday Inn (1942), Meet Me In St. Louis (1944), It’s a Wonderful Life (1946), The Bishop’s Wife (1947), White Christmas (1954), etc . 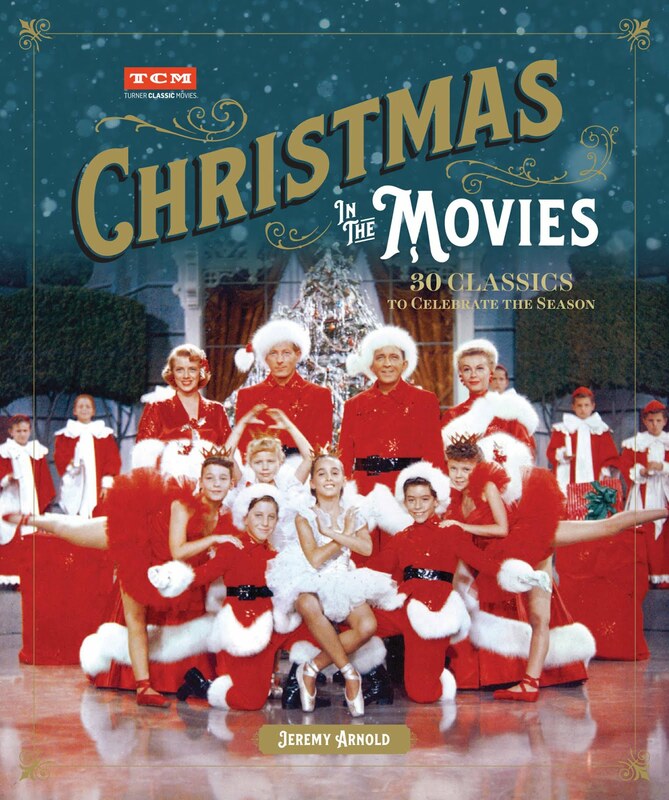 And my personal favorites Christmas in Connecticut (1945) and Holiday Affair (1949) are in here too. Arnold spotlights films that either completely framed within the holiday or they feature Christmas in a significant way. Some of the latter include The Apartment (1960), Gremlins (1984), and Die Hard (1988) (which people love to proclaim is or is not a Christmas movie). Modern classics featured in the book include Little Women (1994), Elf (2003) and Love, Actually (2003) among others. Why are Christmas movies so enduring? Arnold explains that they conjure up feelings of nostalgia, they focus on family dynamics, they lend themselves to the rituals of the holiday and their feel-good vibes and happy endings make them utterly enjoyable to movie going audiences. Reading about each of these movies taps into the pleasure that the films themselves. I really enjoyed Arnold’s narrative voice which is very welcoming. The book goes down easy like a cup of hot cocoa with extra marshmallows. While the articles featured are not ground-breaking, I found some nugget of information to take away from almost every single one. You may know everything there is to know about Christmas movies (or can easily Google the information you need) but I don’t think that will hamper your appreciation of this book. I learned the most from the Love, Actually article, a film I used to adore but have grown to dislike over the years and have been meaning to revisit, and was interested in the background of how the story came to be. And there are a few films I had never seen before, including Miracle on Main Street and The Holly and the Ivy (1952) that I bookmarked for future viewing. The original and final lyrics for “Have Yourself a Merry Little Christmas", the song written for Meet Me In St. Louis, are presented side by side in the book. I’m glad they were changed because the original song was quite dark. There was a backlash against Alastair Sim starring as Ebenezer Scrooge in the 1951 adaptation of A Christmas Carol, Scrooge. Warner Bros. threw a parade in Norwalk, CT for the premiere of Christmas in Connecticut. I got a newfound appreciation for how TV was instrumental in making so many overlooked Christmas movies into widely appreciated classics. 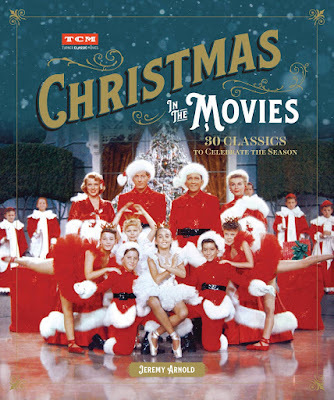 Christmas in the Movies is a keepsake treasure perfect for gift giving. And it’s very likely that if your loved one doesn’t watch classic movies that they’ve seen several of the classic Christmas films listed in the book. It’s beautifully designed and I particularly liked its more compact size. If you’re looking for a coffee table type book this is not it. It’s better suited on your mantle next to your Elf on the shelf and above your Christmas stocking. Thank you to Jeremy Arnold and Running Press for sending me a copy of Christmas in the Movies for review.